GC resources are available for all faculty & staff. Most resources are available off campus. 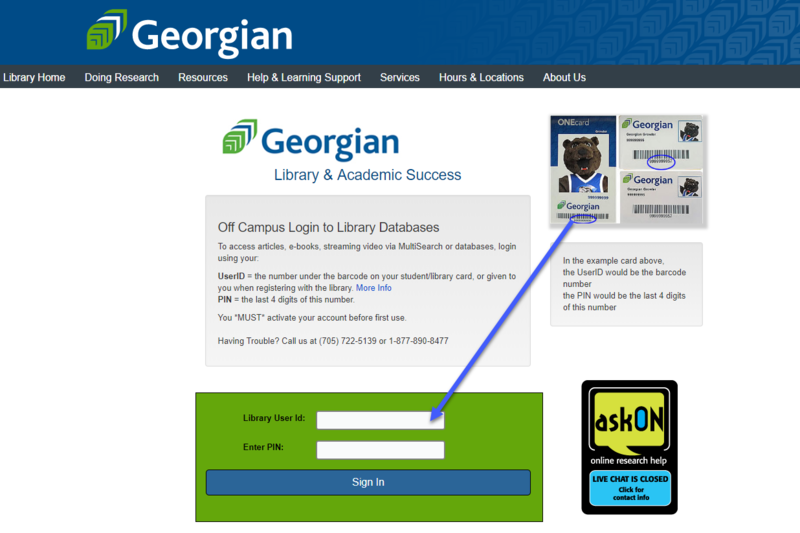 Activate your off-campus login credentials by visiting or calling the customer service desk at your campus. When you see the Remote Authentication screen (sample screenshot below), enter your Library UserID & PIN.